One of the big favourites to win the trophy Chelsea face Dynamo Kyiv in a first leg from the 1/8-finals of Europa League. Let’s have a look at this clash at the Stamford Bridge in the London capital. Far from surprising, Chelsea did not have any problems to eliminate the Swedish Malmo FF during the 1/16-finals of the competition. After a 2-1 win on Swedish soil, the Blues enjoyed a comfortable 3-0 win at home against the Scandinavians. Olivier Giroud, Ross Barkley and Callum Hudson-Odoi scored for Chelsea in the second leg. For Chelsea it’s pretty important to win Europa League this season. Right now it’s not guaranteed that the Blues will finish in the Top 4 of the Premier League, which means that winning Europa League could be their only ticket to return to the Champions League. That’s why we expect to see some effort from Chelsea to win the tournament this year. This season is not easy for Chelsea’s manager Maurizio Sarri. The Italian tactician is put under some serious pressure because of the club’s results. Winning an European trophy could make his first season in London much more successful. Meanwhile Dynamo Kyiv reached the 1/8-finals of the tournament eliminating the Greek side Olympiakos. The first game in Piraeus ended with a 2-2 draw, while in Kiev Dynamo celebrated a 1-0 win. The Spanish striker Fran Sol scored the only goal in the game during the first half. 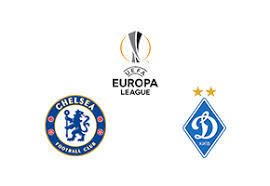 This shall be an interesting clash between Chelsea and Dynamo Kyiv on Thursday night. Two very good teams are facing each other. Of course, Chelsea are the favourites, being the bigger club from a bigger league. But Dynamo are a club with rich traditions in Europe, so they have some chances, too.